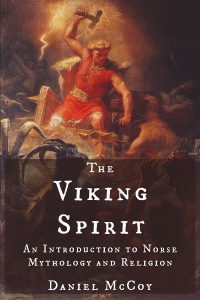 The shamanism of the pre-Christian Norse and other Germanic peoples took several different forms. Among the most common of these forms, especially for men, was the attainment and use of an ecstatic battle-fury closely linked to a particular totem animal, usually a bear or a wolf, and often occurring within the context of certain formal, initiatory military groups. During the Viking Age, these “warrior-shamans” typically fell into two groups: the berserkers (Old Norse berserkir, “bear-shirts”) and úlfheðnar (pronounced “oolv-HETH-nahr” with a hard “th” as in “the;” Old Norse for “wolf-hides”). These groups were a late development of the earlier Germanic warband, and shared much in common with the warlike shamanism of other circumpolar peoples. 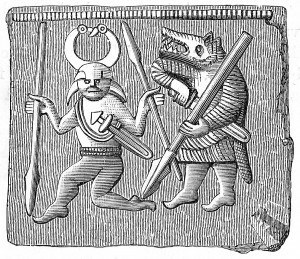 As far as we can tell today, the berserkers and úlfheðnar shared a common set of shamanic practices, with the only substantial difference being that the totem animal of the berserkers was, as the name implies, the bear, while that of the úlfheðnar was the wolf. These names are a reference to the practice of dressing in a ritual costume made from the hide of the totem animal, an outward reminder of the wearer’s having gone beyond the confines of his humanity and become a divine predator. It’s hard to imagine a grislier or more frightening thing to encounter on the late Iron Age battlefield. One of the defining features of shamanic traditions across the world is an initiation process characterized by a symbolic (and occasionally literal) death and rebirth, whereby the shaman-to-be acquires his or her powers. 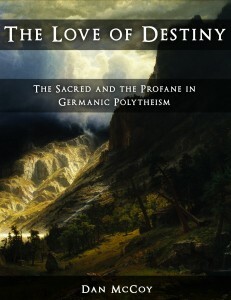 Candidates for Germanic shamanic military societies underwent such a process before being admitted into the group: they spent a period in the wilderness, living like their totem animal and learning its ways, obtaining their sustenance through hunting, gathering, and raiding the nearest towns. To quote the esteemed archaeologist Dominique Briquel, “Rapto vivere, to live in the manner of wolves, is the beginning of this initiation. The bond with the savage world is indicated not only on the geographic plane – life beyond the limits of the civilized life of the towns… but also on what we would consider a moral plane: their existence is assured by the law of the jungle.” The candidate ceased to be an ordinary human being and became instead a wolf-man or a bear-man, more a part of the forest than of civilization. Thenceforth, he had the ability to induce a state of possession by his kindred beast, acquiring its strength, fearlessness, and fury. We have only the haziest idea of the techniques used to reach this ecstatic trance state, but we know that fasting, exposure to extreme heat, and ceremonial “weapons dances” were among the shamanic toolkit of the ancient Germanic peoples. It’s extremely likely that warrior-shamans used these techniques, alongside numerous others that have been lost in the centuries of malign neglect that have passed since these were living traditions. In the biting or casting away of their shields, we see a reminder that their ultimate identity is no longer their social persona, but rather their “unity with the animal world” that they have achieved through “self-dehumanization.” A warrior’s shield and weapons were the very emblems of his social persona and status; they were given to a young man who had come of age by his father or closest male relative to mark his newfound arrival into the sphere of the rights and responsibilities of his society’s adult men. In biting or discarding the shield, the mythical beast triumphed over the petty man, and “Odin’s men” tore through the battle, psychologically impervious to pain by virtue of their predatory trance. Like other northern Eurasian shamans, Germanic warrior-shamans are occasionally depicted with “spirit-wives,” in this case from among the valkyries, the female attendant spirits of Odin. 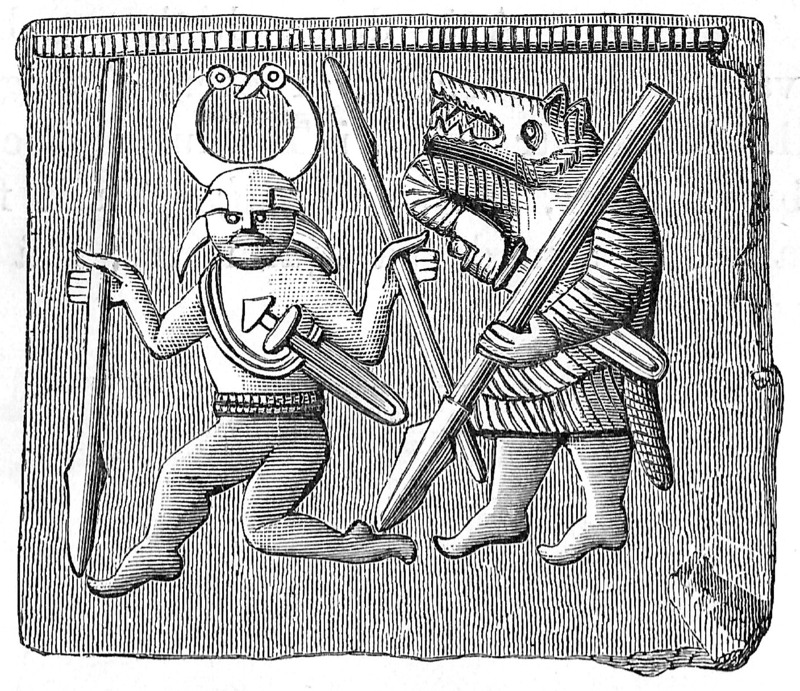 In the polytheistic system of the pre-Christian Germanic peoples, wherein different sorts of people venerated different sorts of deities, the berserkers, úlfheðnar, and other warrior-shamans were exemplary devotees of Odin, the Allfather of the northern gods and the giver of óðr, “ecstasy/fury/inspiration.” Óðr is the source of poetic inspiration and philosophical insight as well as battle frenzy (“going berserk,” Old Norse berserksgangr). Thus, it should come as no surprise that many of “Odin’s men,” such as Egill Skallagrímsson and Starkaðr, were also warrior-poets. These were no ordinary soldiers; their battle frenzy, with all of its grotesqueness and violence, was of a rarefied, even poetic, sort – and, being a gift from Odin, it was inherently sacred. Kershaw, Kris. 2000. The One-eyed God: Odin and the (Indo-)Germanic Männerbünde. Eliade, Mircea. 1964. Shamanism: Archaic Techniques of Ecstasy. Translated by Willard R. Trask. p. 14. As quoted in: Kershaw, Kris. 2000. The One-eyed God: Odin and the (Indo-)Germanic Männerbünde. p. 117. Examples of shamanic fasting and exposure to heat can be found in the Hávamál and Grímnismál respectively, both of which, in turn, can be found in The Poetic Edda. Examples of weapons dancing come from archaeological evidence, especially Migration Period bracteates, and Tactitus’s Germania. A lengthy discussion of these as techniques for inducing ecstatic trance, including Indo-European parallels, can be found in: Kershaw, Kris. 2000. The One-eyed God: Odin and the (Indo-)Germanic Männerbünde. p. 79-105. Snorri Sturluson. Ynglinga Saga 6. In Heimskringla: eða Sögur Noregs Konunga. My translation. Price, Neil S. 2002. The Viking Way: Religion and War in Late Iron Age Scandinavia. p. 382-283. Kershaw, Kris. 2000. The One-eyed God: Odin and the (Indo-)Germanic Männerbünde. p. 79-83. Price, Neil S. 2002. The Viking Way: Religion and War in Late Iron Age Scandinavia. p. 336.